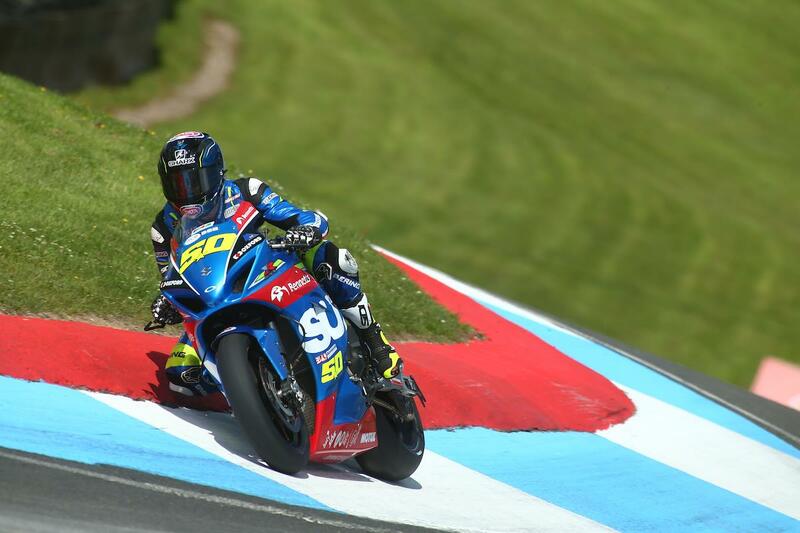 Sylvain Guintoli is hoping to make further improvements with the Bennetts Suzuki team as the MCE British Superbike Championship heads to Snetterton this weekend. The 2014 World Superbike Champion’s results have been somewhat disappointing with the new GSX-R so far this season, but progress by the Hawk Suzuki squad saw the Frenchman’s team-mate Taylor Mackenzie finish fifth after battling for the podium last time out at Knockhill. While Guintoli’s results weren’t quite as strong, he did show a step forward in pace to take the team’s best qualifying of the season in seventh place, something he’s hoping to further improve on at Snetterton this weekend despite it being his first visit to the Norfolk track on a motorcycle. “We had good pace at Knockhill,” he said. “Our results weren't quite there for one reason or another, but we were able to put in good lap times and have made lots of progress. We're still working, but it's getting there and I'm excited for Snetterton. It's another new track for me on a bike, but I have raced there in a Hayabusa-powered car, the Radical SR3. I know the layout so hopefully I can get up to speed on the GSX-R quickly and we can keep improving." What next for Sylvain Guintoli?